Fill the last winter days with colors and welcome the spring! 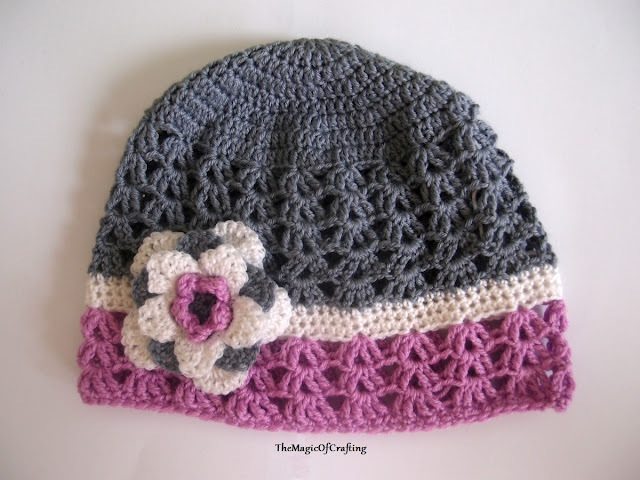 Use different colors and embelishment to adapt it to your prefered style. Ch 2, dc in same st, 2 dc in each st, ss at the end of the round in ch2 (24 st). Ch 2, dc in same st, *dc, 2 dc*, rep * -*, ss at the end of the round in ch2 (36 st). Ch 2, dc in same st, *dc in next 2 st, 2 dc in same st *, repeat * -*, ss at the end of the round in ch 2 (48 st). Ch 2, dc in same st, dc in every st, 2 dc in every 4th st, ss at the end of the round in ch 2 (60 st). Ch 2, dc in same st, dc in every st, 2 dc in every 5th st,ss at the end of the round in ch 2 (72 st). Row 6Ch 2, dc in same st, dc in every st, 2 dc in every 6th st, ss at the end of the round in ch 2 (84 st). Ch 2, dc in same st, dc in every st, 2 dc in every 7th st exept the last increase, ss at the end of the round in ch 2 (95 st - one dc increase skipped). This is the crown part. Ch 1, sc in same st, sc around, ss at the end in ch 1. 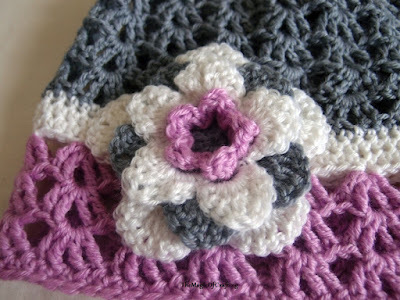 If you want to make the same flower check the pattern here - Spring Flower.